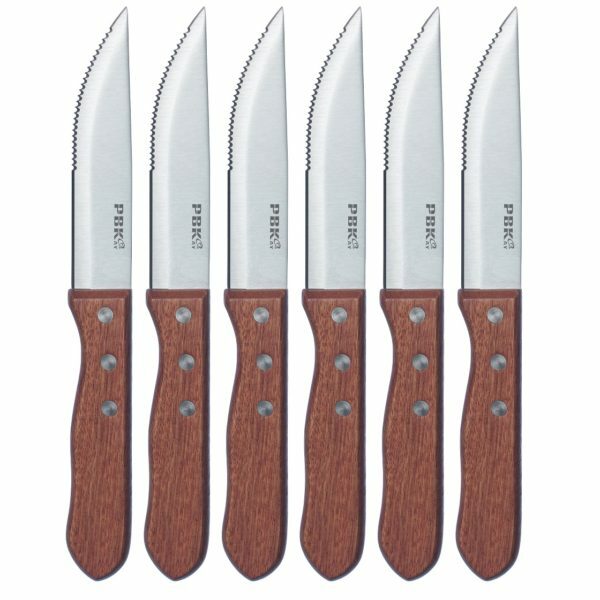 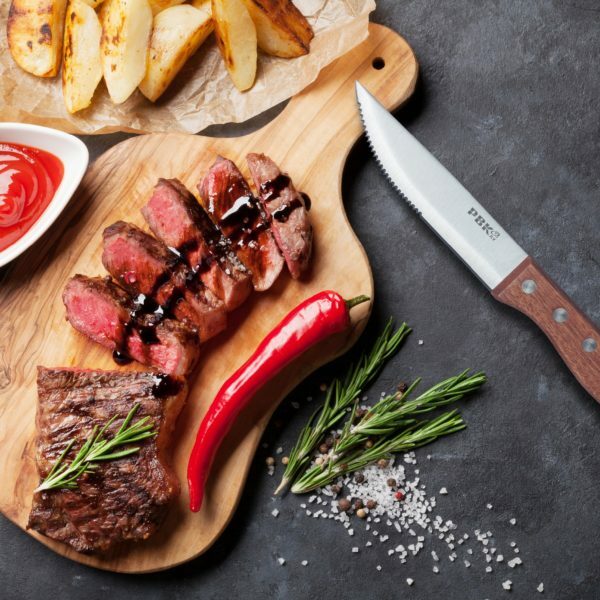 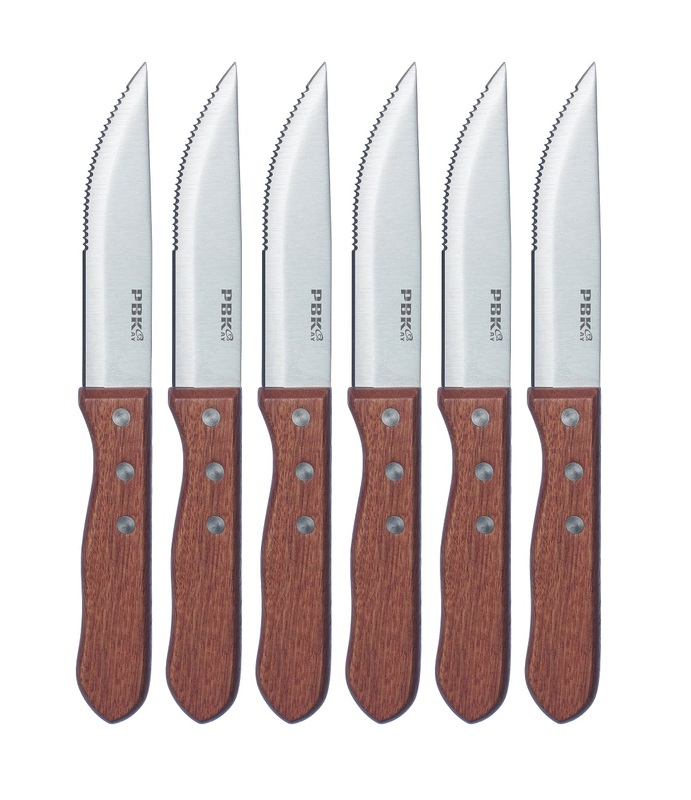 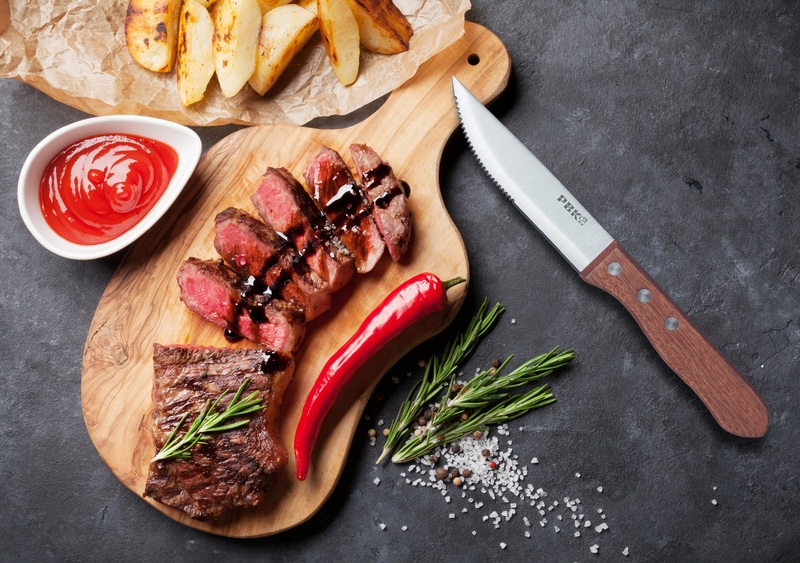 Set of Six high quality Stainless steel wooden Steak knives. 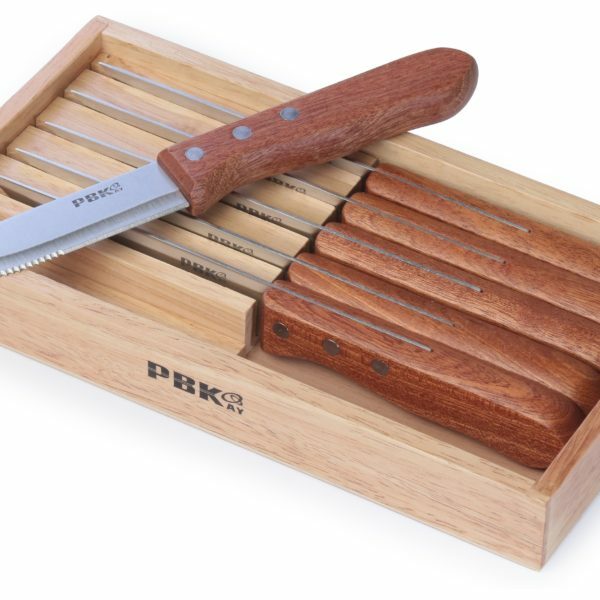 Slightly curved blade ensures easy, precision slicing. 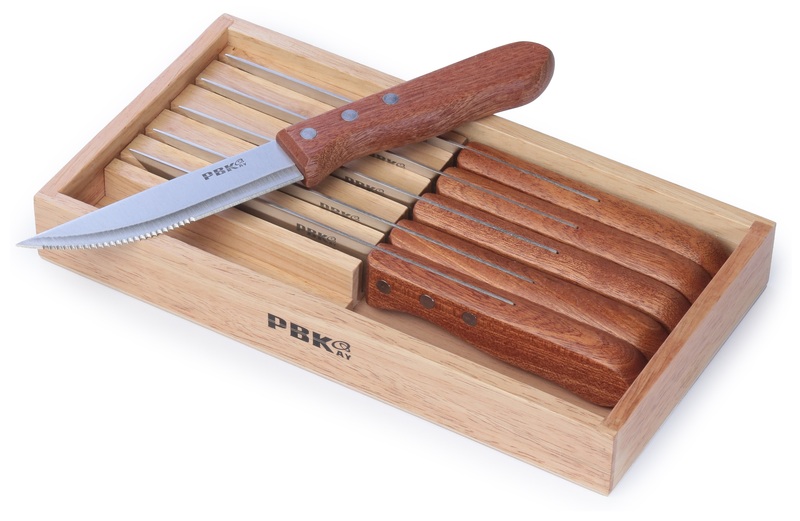 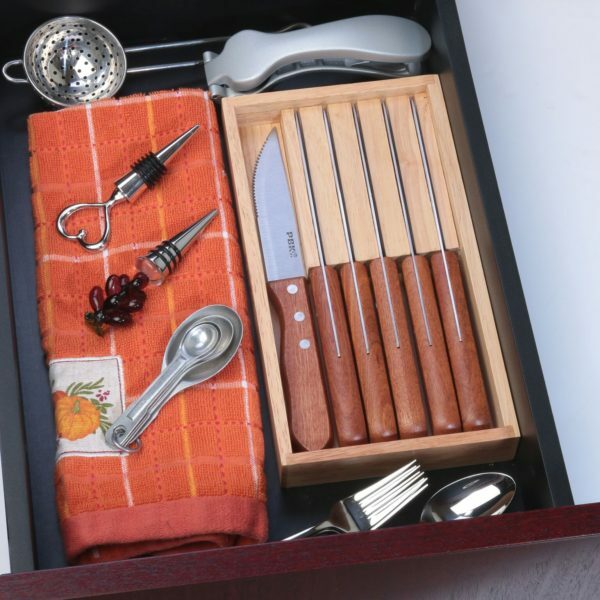 Featuring large wooden handles inspired by the knives used in steakhouses. 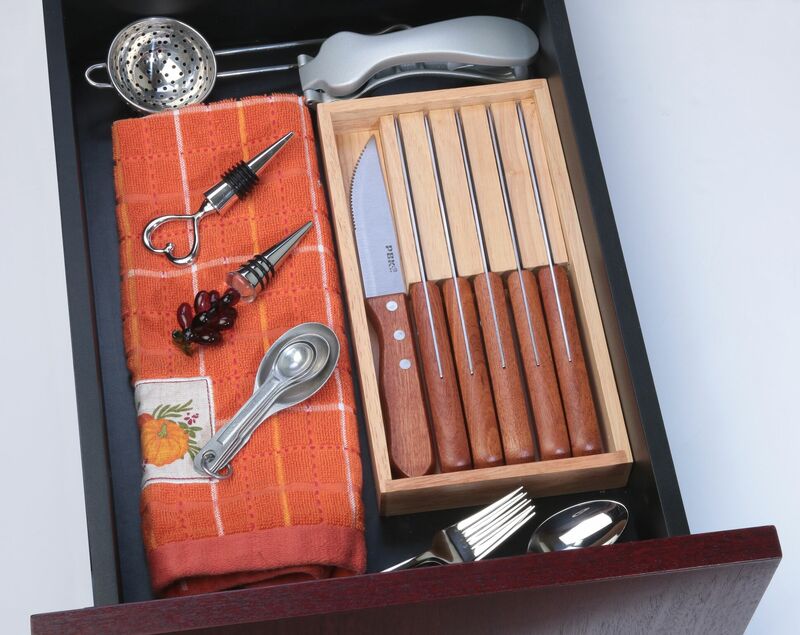 The boxed set makes an excellent gift.